Registration for the 2015 Junior Iditarod opened on the last Saturday of June at Iditarod Headquarters in Wasilla. While adult mushers signed up for the 1,000 mile trip to Nome on one end of the table, teens between the ages of 14 and 17 signed up for the 150 mile round trip race on the other end of the table. 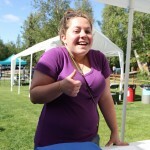 The final junior musher to sign-up was Willow musher, Dakota Schlosser. Officials were expecting a fourth junior musher to sign up on Saturday. Jimmy Lanier was playing baseball and he intended to come to over after the game finished but you know how baseball games can go on and on. He’ll send his entry in later. The Junior Iditarod most often starts on Knik Lake near Joe Redington’s old homestead. 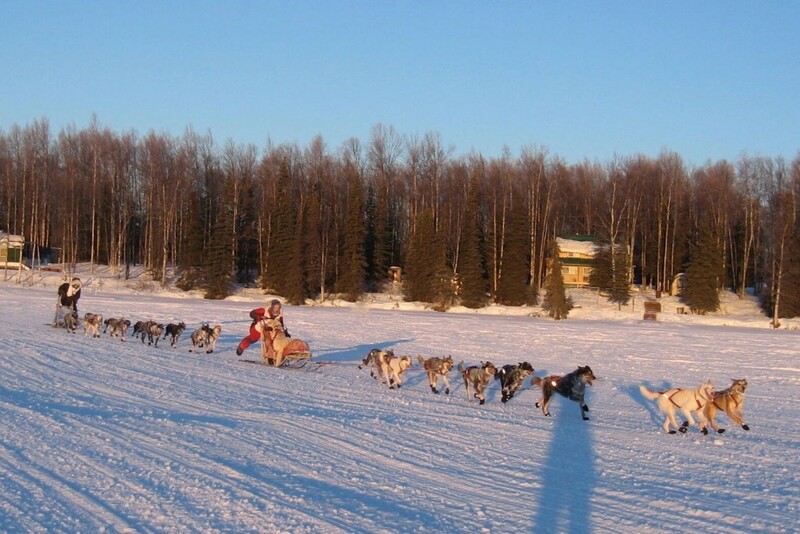 The mushers run 75 miles out to Yentna Station Roadhouse with their ten-dog teams. After spending the required 10-hour layover and differential the teens are restarted to head toward the finish most often located on Willow Lake. Last Year, due to poor trail conditions out of Knik Lake, the race began and ended at Buser’s Happy Trail’s Kennel where the trails were pretty near to perfect. The 2015 running of the Junior Iditarod marks the 38th race. 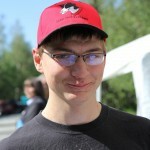 It’s a race that was conceived by the junior mushers themselves. They brought the idea to Joe Redington Sr. who encouraged the kids to go for it. Parents and other willing adults came together to work out the details of the race and made it happen. 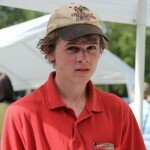 Lynden Transportation generously sponsors the Junior Iditarod and provides funds for scholarships and special awards. Scholarships can be used for higher education or special training. In 2014 scholarships awarded to the top finishers and special awards totaled about $20,000. In the last several years, there have been some close finishes but none so close as the race in 2008. Jessica Klejka came down the far shore of Willow Lake leading Cain carter by not more than a few feet. Both teams charged across the Lake toward the finish. Cain calling to his team, “On by, on by!” Jessica in the lead called to her time, “hike, Hike, HIKE!” Cain’s leaders were soon running even with Jessica as she pedaled from the sled runners. He gained little by little and soon his leaders were inching in front the Klejka’s sled. Jessica’s team was not to be denied. They picked up the pace to match Cain’s team and maintained their lead to capture victory but by only two seconds. Keep an eye on the Junior Iditarod web page to read the bios of the Junior Mushers, to keep track of who’s signed up and follow the race on the last weekend of February.